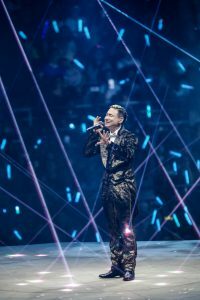 Legendary “God of Song” Jacky Cheung took the nation by storm early this year with “A Classic Tour” in Kuala Lumpur 2018. 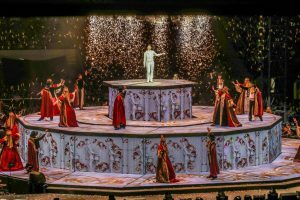 With a whopping 40,000 spectators, this tour recorded three consecutive sell-out shows at the Axiata Arena Bukit Jalil. Die-hard Jacky fans will be thrilled to know that he will be back! Due to popular demand, the organizer Star Planet has announced that Jacky will return for an encore show this October 5, 6 and 7 at the Axiata Arena. Have you heard about the spectacular four-sided stage? Well, you can expect to see it this time round! Better yet, ticket prices will also remain unchanged as per his last tour in Kuala Lumpur. After he finished his KL gigs in January, he toured the United States, Australia and major cities in China, making waves across international media platforms. In April, Jacky broke his own Guinness World Record by hosting his 147th show at Shao Xing, China. His last world tour “1/2 Century” wrapped up with a total of 146 shows, and the current tour is expected to hit 200 dates. Jacky fans, ticket sales are expected to start in August, so prepare yourselves! For more news and updates, visit http://www.starplanet.com.my/!